Are looking for any Pastel accounting or Payroll software? 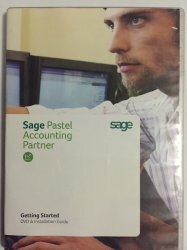 Then look no further Sage Pastel Business partner, company based in Gauteng, South Africa offers pastel accounting and payroll solution to manage your business. For all your Pastel software needs including Training, Installation, Month end, Year-end, Roll overs. We also provide part-time Bookkeeping services. We will install your Pastel Partner or Xpress accounting including the Payroll and licence your server and workstations. We also specialise in troubleshooting all pastel error codes. 1.Software Application Analysis, Support, and Training. 3.Sales and support on all Pastel Software products – accounting/payroll. 4.Installation and set-up of all products. 5.Custom accounting and payroll set-ups. 6.Specialised general ledger and report writing design. 7.Payroll legislative upgrades & support. 9.Custom forms design of all documents. 11.Technical Support, Data Fixes, and Trouble Shooting. 13.General Product Support and Advice. Available products include Pastel Partner & Pastel Xpress V11, V12 & 14 and Sage Payroll Software.